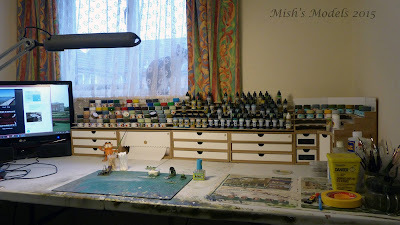 How many times have you ended up building your model in a space about six inches square on a table that is much larger? If your anything like me every time you get involved in a project. Well I have found a solution. Let me introduce you to the HOBBYZONE Modular Workshop System. 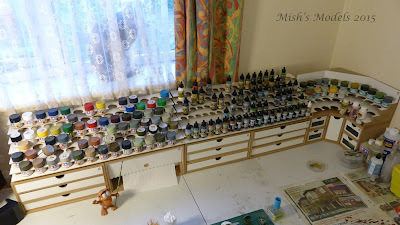 These units are produced by a HOBBYZONE in Poland at what I think is very cheap prices, even when you add post and packaging the cost is not prohibitive although postal costs do go up for countries outside of the EU. The individual units arrive flat packed and you assemble using white PVA wood glue, the very comprehensive instructions show exactly how everything goes together and in what order. The units fit together and are held in place using small but very powerful rare earth magnets. Since having these units my desk has remained tidy and clutter free, however I have had to remember what drawer I've things in!